The past few months I seemed to have had a lot of products coming to an end. There were heaps of empties to review, and this month it has really died down a bit. Here are products I finished up during May and if I will be repurchasing them any time soon. I've talked about this a lot on my blog, it is my base coat of choice since I first discovered it. I don't use anything else! It really helps to prolong my nail polish wear, but the best thing I like about it, is that it doesn't allow the polish colours to discolour the nails. I was having a lot of issues with yellow/stained nails, but using this has meant that even the darkest of shades don't leave any colour residue. I've already bought another! I'm a big fan of the Baby Lips and have a lot of the scents. 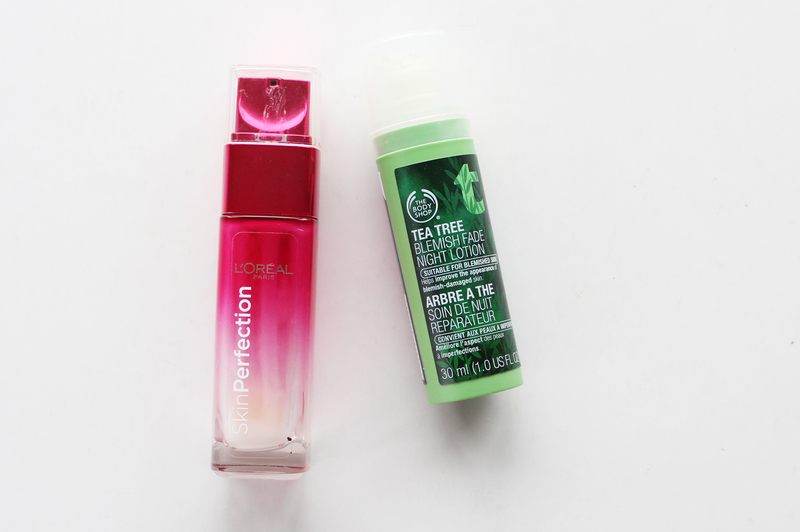 Although they aren't the most moisturising of lip balms (if you have very dry lips, I'd stay away), but for on the go and under lipstick these are awesome. I haven't repurchased this particular scent yet as I have plenty of others to get through. As you can tell from the pictures, this sponge was definitely at the end of its life. I know it's not technically an 'empty' product, but it's beauty related so it counts. I adore this sponge and use it every single day to apply my foundation and concealer. I've shied away from buffing brushes, as I find this gives a more seamless application and really blends product well into the skin. I already have another one (see the haul here), and I'll continue to buy it. This is my second bottle of this serum I've been through and I'm already onto my third. I use two pumps of this in the evening after toning and before moisturising and I love the way it makes my skin feel the next morning. It has helped to smooth the skin out a bit and I do think it makes a difference on pore size, although nothing dramatic. I've raved about this product before and I've had it many a Empties post. I stopped using it for a while as I had other night moisturisers to try out, but when I came back to this, I remembered why I loved it. It helps to clear up blemishes and has definitely made a difference in fading my acne scarring too. 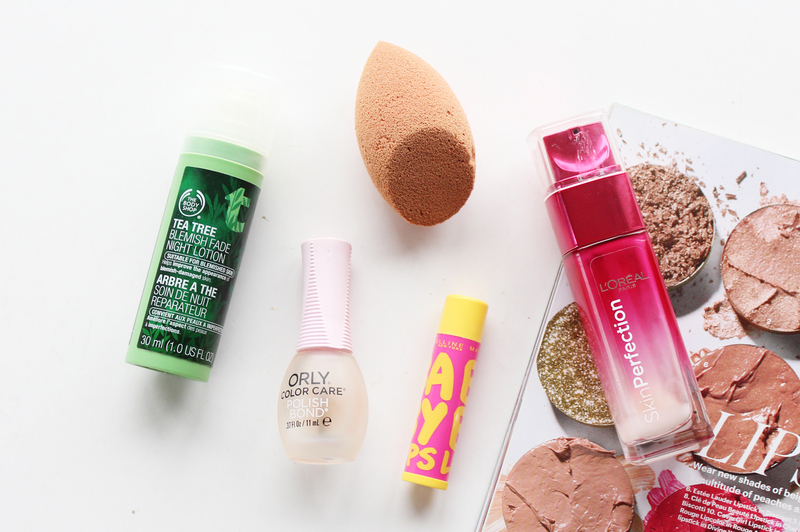 Finally, another one of those products that always pops up in Empties! 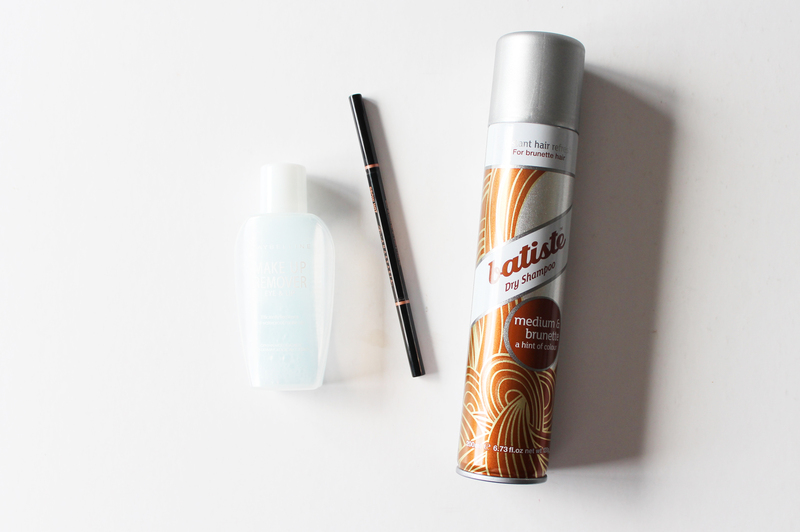 Every girl has gotta have a can of dry shampoo in her cupboard, it is the best for lazy days, or for refreshing the hair before going out at night. I like the coloured ones, because my hair is pretty dark and I find the others do leave a hint of white cast to the hair. I usually use the Dark Brunette one, but couldn't find it at the time so settled for the Medium Brunette, which you could still see in the hair. I'll definitely still purchase it, but will always opt for the darker one. What products did you finish up this month? Have you used any of these?